PHONE AND ONLINE SALES HAVE ENDED. TICKETS WILL BE AVAILABLE FOR PURCHASE AT THE WASHINGTON UNION HIGH SCHOOL BOX OFFICE AT 3PM ON JUNE 19TH. Friday, June 19, 2015 | 6:30 p.m. 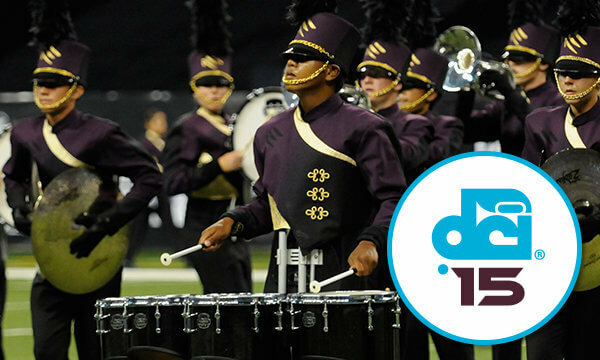 The Drum Corps International Tour will kick off its California series of events on Friday, June 19, with the 2015 edition of the MidCal Champions Showcase. This year, Washington Uniion High School in Fresno will play host to a high-powered lineup of the Pacific Coast’s World and Open Class corps, in addition to the Phantom Regiment who will be making its first trip to California since 2012. Prices do not reflect additional handling fees. GROUP TICKETS ARE NOT AVAILABLE THE DAY OF THE EVENT. Listed in reverse order of performance. For Sections A, B, AA and BB, the higher number seats are closer to the 50-yard line. Sections C and CC are split by the 50-yard line. **Group tickets have $2 processing fee per ticket added during completion of order. This results in a total savings of $12.95 per ticket compared to individual purchases.